This week, Community Signal proudly celebrates three years of conversations with community professionals. We’re taking this opportunity to talk to Patrick about his experience running the show and giving him a chance to reflect on the state of online community management and how he’s seen it develop over these past few years. We’re also grateful to be joined by past guest, Scott Moore, for this conversation. Combined, Patrick and Scott have over four decades of experience in community and a recurring topic in this conversation is how we can learn from industry veterans and those who came before us, as well as recognizing that the community problems of today likely have past occurrences that we can learn from. As Patrick mentions towards the end of this episode, hosting this show has been a way for him to stay up to date on the themes, tools, struggles, and triumphs that the community landscape is seeing and we hope that these conversations are useful for you, too. I know that I can confidently speak for Karn, Patrick, and myself in saying that we’re all looking forward to continuing to ask the tough questions when it comes to community. It’s our duty to push the profession forward. 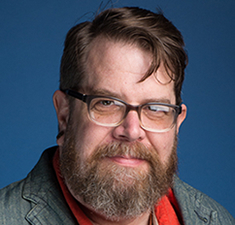 Since 1995, Scott Moore has been helping organizations large and small build solid and successful connected communities and the teams that support those communities. He seeks opportunities to use his experience in online communities to help people help each other to make a positive change in their own lives and those around them. 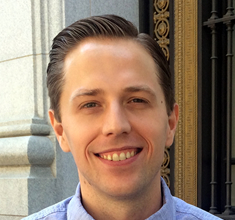 Scott has fostered and directed community at Digital Promise Global, Answers.com, Charles and Helen Schwab Foundation, Communities.com, and Fujitsu. He has also consulted with non-profits to help with a variety of online community needs including Healthsparq, Diabetes Hands Foundation, and Edutopia. [00:28] Patrick O’Keefe: Hello and thank you for listening to Community Signal. 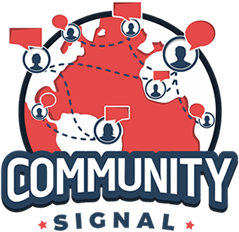 December 7, 2018 marks the three-year anniversary of the launch of Community Signal. In talking with my team on what we could do this week that would be different, our editorial lead Carol Benovic-Bradley suggested that I could talk about the changes that I’ve noticed in the community landscape over the last three years. I brought in a special guest host that can prompt and push me a bit to go into detail and have a conversation about what’s happened in the last three years and also about other issues that are facing us in the community world right now. I’ll introduce him in a second. Before we do that, I wanted to thank everyone who has supported the show and tells us that they find value in it. Thank you to everyone who listens to the program, shares it online and comments thoughtfully. Thank you to our Patreon supporters past and present. Thank you to our current backers, Kathryn Mancuso, Luke Zimmer, Jules Standen, Rachel Medanic, Carol, Serena Snoad, Maggie McGarry and Marjorie Anderson. If you’d like to join them please visit communitysignal.com/innercircle for details. Thank you to my team that works behind the scenes to make the show as good as it can be. Our editorial lead, Carol Benovic-Bradley, and producer Karn Broad. Thank you to the sponsors we have had, currently Higher Logic and in the past, Open Social, The Social Element, and Structure 3C. Our special guest host this week is Scott Moore who has been on the show a few times. First on the fifth episode of the show and most recently on a bonus clips episode in January. Since 1995, Scott has been helping organizations large and small build solid and successful connected communities and the teams that support those communities. He’s looking for opportunities where he can use his experience in online communities to help people help each other to make a positive change in their own lives and those around them. Scott has fostered and directed community a Digital Promise Global, Answers.com, Charles and Helen Schwab Foundation, Communities.com and Fujitsu. He has also consulted with nonprofits to help with a variety of online community needs including Healthsparq, Diabetes Hands Foundation, and Edutopia. Scott, welcome to the show. [00:02:14] Scott Moore: Thanks, Patrick. It’s great to be back on the show and in a flipped position this time. This will be fun. [00:01:23] Patrick: I agree. Thank you so much for agreeing to do this, for making the time to things together. For anybody listening, I really didn’t have much input into the conversation points or questions, it was mainly Scott with Carol and then Patreon supporters and a mix of different people but I really didn’t guide it in any particular way beyond saying community challenges and things in the last three years so I appreciate you doing the lifting to put that conversation together. [00:02:45] Scott: Yes. I appreciate the help from Carol and your Patreon folks and some others. This will be fun. We’ll get into this. [00:02:57] Scott: Oh boy. All right. We’re just going to start off. Since the topic is challenges and this is your third-year anniversary. My first question is what’s the most striking challenge for community building that’s arisen within the last three years that you’ve been producing and hosting Community Signal? [00:03:17] Patrick: Interesting. I did a lack of prep for this episode too. These answers are going to be pretty fresh off the top of the dome. Last three years, I think when it comes to community work, one thing that stands out to me is the changes in expectations of behavior that people have. For example, on Facebook the other day, Chris Brogan who’s been on the show before tagged me in a conversation he was having about sort of he had made a Facebook post and maybe a public post for all I know. It’s nothing too sensitive or secretive. It just what comes after Facebook and how he wants something smaller. I think he said he wants nooks and clubs and smaller groupings. The thing is, I don’t know that there’s any revolutionary answer there. I think it’s pretty cyclical. I think we go in one direction in so many different things; politics, diet, exercise, habits and online communities, and social media and how we interact as people. He wants it to be smaller again. To me, there’s nothing that’s going to come around the pike and he said something about a blockchain. I was like, “I don’t know blockchain, whatever.” It might factor somewhere in that conversation but it comes back to small group dynamics and having standards and applying them and saying, “This is what we’re about and if you’re about that too, come on over, if not, then it’s not the space for you.” Because these spaces they get so big at Facebook I mean, it’s come one, come all very much. It gets noisy. I think when that happens and when people come back to that dynamic, I see this in managing a number of Facebook groups for my day job, people evolve, they change, their brains change, their habits change. They’ve gotten so used to using Facebook and Twitter and other platforms where it’s very centric on them, it’s very much about opting into them, following them, them deciding who they follow, and not so much about shared community spaces that we all have access to. A lot of people say they want something smaller, but to really get the most out of that small thing, they’re going to have to change how they act on these me, me, me sites, when it’s just a space that we all share, we can all see everything and not your personal profile where I opt into you, where you have essentially as the say over what goes there. You’re going to have to get used to being told you can’t do certain things and that this space cannot be used in this way because the greater good of that community or the purpose of that community dictates that that isn’t allowed. People have changed how they approach in many ways and they have to be willing to. In some ways, you can look at it as seed some of that control back or recommit to being part of something greater than themselves as an individual. That mental shift of, I am used to doing this on Facebook, Twitter, LinkedIn, Snapchat, Instagram, whatever, therefore, I now expect to do it on this next smaller space. That shift is going to turn a lot of people off of those smaller spaces or there’s going to have to change, but it’s going to be challenging to push that back. [00:06:14] Scott: Cool. Have we expanded or shifted our view of what an online community means? [00:06:20] Patrick: I don’t really think we have all that much. To me, online community is always defined in one of two ways, e.g, it’s either a place online that you go specifically where you are a part of something with other people like a karateforums.com, like an Answers.com. A place we go specifically. Or the term can also be applied towards the people online who interact and engage around a specific thing, the community of Coca-Cola fans, for example. That’s a reasonable description is to talk about the online community of Coca-Cola fans as a whole and that thing. For me, it’s a place or it’s a really defined thing that people engage around online in different spaces. For me, that’s still true. To draw from the Coca-Cola example, you have a network of fans online and they’re on Twitter. They’re on Facebook. They’re in dedicated fan communities. There’s Coca-Cola fans who are 80 years old and have seniors for Coca-Cola groups where they collect the memorabilia and the signage. For me, it’s still pretty similar. The tools and platforms change to some extent, but online community is still essentially online community, it’s the same thing that it’s been going on for a long time, long before I started. [00:07:27] Scott: Do you think that any practical or proven knowledge, we’ve been building online communities, not just you and I, but I mean collectively. You’ve been interviewing lots of folks who have pioneered online communities. Do you think that we’re slipping in the knowledge that we have? Should we be going back and revisiting some of the foundational work? [00:07:50] Patrick: I think it’s always good for community professionals to have a sense of their history. I try to do that with this show. We have people on who have been in the space for a few years. We have people on who have been in this space since essentially what most people would consider the beginning, but I always come back to the fact that it’s really useful to have a historical context and understanding and to understand where we fit into this space as we’ve talked about off the air. It’s a very cyclical job, online community. The same things come around every so often and then people discover them as challenges that are new to them and then they solve them as new to them. Then they also believe they are new as a whole and they are often and usually not. That was the case when I was coming up in many ways, I learned from a lot of people that came before me. I’ve dedicated myself to trying to become a bit of a historian when it comes to online community work and to do my part to shift attention. In different directions, two people who are both new. I started as a teenager in this space and there’s teenagers out there that are building online communities right now. They’re incredibly strong and incredibly intelligent and doing great work that we can all learn from. At the same time, there are veterans of the industry that we are fortunate to still have. Who knows? Who knows how long we’ll have a lot of these pioneers? I hope for a long time, but I consider myself fortunate to have had conversations with many of them and still want to have more of them on. I just try to preach an understanding of like, it’s okay to be authoritative and to talk about things, to share your learnings, share your experiences, and be the expert that you are while also not putting yourself off as some unique holder of the knowledge because there are a lot of people. I put out a book in online community, managing online forums in 2008 and that’s still fairly early for most people, probably most people in the industry right now weren’t there, but there were several books that came before me, very important works that go beyond community management like Harold Rheingold’s, The Virtual Community. I feel like I’m really going off on a tangent here, but yes, the answer is yes. We should look back to those lessons. I look at blog post that I wrote 10 years ago. I come across things that any number of people wrote many years ago, you, people like Derek Powazek and many others. So many people that we know, mutual friends of ours, people on the show have been blogging, writing about community online, offline for so long. If you really set the words down, if you compare Derek Powazek’s, Design for Community to Howard Rheingold’s The Virtual Community, to even let’s say my Managing Online Forums and I’ll flatter myself there, a lot of the similar themes are there. A lot of the similar concepts and themes are there, just changed for different personalities, styles, and approaches. I do think there’s value in looking back at those lessons from going back to those older books and from understanding the history of the space and to really being thankful for the people that came before us. Because I see people talk about how their resource or they professionalized community in the last three to five years. To me, I think most veterans, look at that and veterans being people 10, 15, 20 years experience and laugh and think that person or those people are not credible because I know lots of people who are doing this work and talking about it and helping others do it better for a very long time. Yes, we need to go back and learn those lessons because they just come up over and over again. [00:11:07] Patrick O’Keefe: I’d like to stop right here to recognize our excellent loyal sponsor, Higher Logic. [00:11:42] Scott: Let’s bring it back to some of the challenges because you’ve interviewed a number of these pioneers over time. Have you noticed if there are particular challenges that the early online community pioneers faced that we still face today? [00:12:00] Patrick: I think the answer is yes. Because again, if it’s cyclical, then they faced them. I think about like the episode that I did with Gail Ann Williams from Salon and The WELL. We called that episode, “Making a world where the sun rises the next morning.” This idea that in online communities there are these panic modes and these things that happen and it can seem like the end of the world but the sun rises the next morning. We continue again tomorrow. There’s a lot of things going to happen in communities that seem like a major crisis, that seem like the end of the world, that seem like it’s over. You just have to do the work, persevere, make it right, apologize, do your best and most things. I’m not talking about the worst of the worst but most things you’ll get through and you persevere through. You go back and read some of those works that I referenced and other people that blogged about community. There are so many people that have written about it. There’s an old site by Tom Coates in the mid-2000s everythinginmoderation.org, I think it’s online. He wrote about moderation. It was like 12 posts written in like 03 and he never wrote about it again, like it was just over. If you read it, you’ll see, it’s moderation and similar challenges that we talk about and think about today. It doesn’t fundamentally change in a huge dramatic way, it’s still people talking. It’s still people that have this sort of behavior issues they go against the guidelines. How do you kind of bring those people back in? We all have our approaches and tactics. The same challenges, I think you’ll learn this, you talk to veterans and experienced people as much or more so than I do. The thing is, what you learn is that what you see today is not dissimilar from what they saw and see today but what they saw, whether that’s, The WELL in the 80s or those Salon communities for Gail Ann Williams or just any number of communities, karateforums.com is 17 years old, 17.5 now. A strong foundation of my knowledge comes from launching a community with no budget and no backing from anybody. Starting a space, opening it up, setting some policies, moderating and learning. Whether I am at my day job and building communities for like Forbes or Ad Age or karateforums.com because I still own it. Professionals, hobbyists, martial artist, executives, they often have a lot of the same kind of issues and quirks and traits. They have different issues. More on business communities are more self-promotional. The martial arts community might be more confrontational and argumentative at times. The challenges are still very similar. It is very true that no matter the challenge that might have happened and I’m sure you see this too and maybe you don’t, so you can push back. The communities that you were running back in the 90s and the communities you run in the 2000s and 2010s, there’s a lot of similar things. I have flashbacks and think about things that I’ve dealt with the karateforums.com 15 years ago when I’m thinking about things that are happening today. It definitely comes back again and again. [00:14:58] Scott: One thing I’ll say from my perspective has shifted or at least has been added into the mix, and that is scale and speed. What kind of challenges do you think change based on really large-scale types of communities? [00:15:20] Patrick: I think the greatest challenge that communities have is maintaining the culture as the community grows and not driving people away because we all know whether it’s SXSW a conference, an online community, a craft beer. There’s a group of people that will and maybe in many cases rightfully say, the size it once was, they sold out or they moved to a different perspective or they wanted to be more mainstream. We will have a choice to make it some point as far as how that goes. I tend to think that at some level if you consider yourself an online community and you become something that is unmoderatable, that you do not have the resources, time, volunteers, technology, money, whatever, air to breathe, whatever it is that you need in this case, to moderate it at a standard that is recognizable to what it was a year ago, five years ago, 10 years ago, then maybe what you have is no longer a community and is more of a communications platform where people have their say and it’s more of a blog. The answer to that is all of those things more resources or splitting it up into smaller groups. It’s all a mix of things. It’s not just volunteers. It’s not just the community stepping up and reporting more or assigning abuse scores to content or allowing moderators to take a hand in moderation. It’s not just hiring an endless number of staff because your money will run out. It’s not just money. It’s not just people. Part of it is technology and using technology in smart ways. Like the New York Times is with their comments from last episode with Bassey Etim where they’re working with Google’s jigsaw trying to build out machine learning tools that not only help them cut down an obvious stuff, but also do not reinforce implicit biases and not amplify and make worse, biases that exist with people because they are simply a machine applying something that appears right over and over again but, of course, humans are feeding into that and sharing the data and forming that opinion. It’s not just one thing. One thing that happens is that a lot of these companies grow and they talk a good game at the start, but they’re not really in pursuit of great moderation or a platform that is well moderated. They make a choice at some point to be in pursuit of greater traffic, money, funding, revenue, ad views, whatever it is. That’s a choice. That’s a choice that you can make. For example, Twitter is not a community to me, it’s a platform for communication. People talk about Twitter moderation and what’s on Twitter, what’s not on Twitter. To meet Twitter’s problem has never been that it had bad community guidelines. They talk a good game. Their problem has always been inconsistent moderation or a lack of resources dedicated to it and maybe it just got too big where they can’t moderate it consistently, but that happens with online communities. There are massive online forums, online hosted communities out there and at some point, you make a choice to either break it down into smaller groups or say, “Okay, that thing we were is now dead and now we are something else.” Again, we all have to make that choice at a given point. [00:18:13] Scott: Wow. I want to follow up on that. That decision point. Making that decision of, are we something else? Have you ever faced that and if not, what do you think are the markers of that? What do you learn from other people about what are the markers that say, we are no longer a community or we are much bigger and we have to make some decisions about what we’re doing? [00:18:39] Patrick: I’ve never reached a point where I felt like the community was so active that it was out of hand and beyond my reach moderation-wise. I have felt overwhelmed at times, overtaxed, maybe some things are slipping through, but never to the point where it was like, “You know what? We just can’t moderate anymore. There’s too many reports. There’s too many posts. There’s too much content. We don’t have the staff, and I don’t have the money to hire anybody.” I haven’t reached that point yet. What’s fortunate or unfortunate depends on your perspective is that it’s not us who make that decision most of the time, it’s not community pros who make that decision, it’s not directors of community, community managers, whatever. It’s the CEO or the executive team who makes that decision. Unless you have a really community savvy strong belief in community, CEO and executive team that really looks at the culture of that community as important and vital, you are pretty much always going to be pushed in the direction of more traffic and more views because that’s going to be a more easily communicated monetizable metric, at least in the short-term midterm. Honestly, it’s not our choice almost all the time. For me, the main marker is just have good people and trust them. For example, again, if you have a strong community pro, director of community, whatever it is, and you have a robust team and this is something that’s been built up over time, then, you have to trust them as being the people who set the alarm and who sound the alarm off when something is wrong in the community. A good leadership organization that has a good CEO, COO, a good c-suite that actually has good people under them, that have autonomy, that have experience, that they trust, those people, it doesn’t matter, it could be anything, it could be customer support, it could be a ticketing system, it could be Zendesk or something. It could be product. It could be the tech team watching the server and maybe there’s a lot of errors for this thing. It could be any number of things where volume is a concern to quality, where too much volume can erode the quality of what you’re doing. You have to trust those people to raise the alarm and then when they raise the alarm, you have to figure out what’s best for the community and the business and oftentimes those things aren’t considered equally. Again, the answer there is a couple different things, when you get to that point where you feel like it’s too much, you can’t preserve the quality of the community, you do make that choice of well, can we increase the budget there or is the cue for tech resources dedicated to better moderation and to integrating with again, from Google Jigsaw, that’s an open source project. If you have the tech resources, you can tap into that and play with it and implement it on yourself. Even though Google and the New York Times have developed it, it’s there for you to try and use and there are similar things that maybe the tech you can use right for free, it’s open source, but you have to have the dev resources to integrate them into your thing with the API. Do we invest further to keep this thing as it is because it’s valuable to the company or do we say, nope, it’s a different thing now, we need to do something different with how we look at this, we need to change the parameters and go from there and experiment figure it out? It’s tough because part of that is also showing value of the community and how it impacts the product. Even when you do show that value though, again, the trap there is also that a lot of the value we show in community is not based upon a qualitative metric. It’s not the qualitative community. It’s simply a quantitative metric where you know the people in the forum, in the community are more loyal, have a higher NPS score, renew it a higher rate, buy more products, whatever it is. The thinking again if you have that CEO that maybe is disconnected is that more equals more. More people, more traffic, equals more sales renewals, whatever. Until they see a point of diminishing returns, until that group of the community actually generates less revenue, then the pressure is always going to be to go bigger and bigger and bigger and bigger until they see a negative result that they can understand, in which case then they might say, okay, we’ve made a mistake, let’s try to backtrack. Unfortunately, chicken-and-egg problem. Once you’ve done that, the road back is tough and involves trying to bring people back who will never come back and apologizing, making amends, and trying to go back to the community. There’s no easy answer for me on this, but it starts with having savvy executives who hire good people and trust their knowledge and actually utilize them as the full resources they have rather than overruling them simply because it seems to make business sense this quarter. [00:23:00] Scott: Not everyone gets to have savvy management. How do we communicate the importance and value of community to top management, and can we do it in a sustained way so that we’re not having to go back again and again, but being able to either continually do this or be able to do it in a way that shows the importance and value pretty clearly and have minimal conversations or is there a way of being able to do this so that we’re having constant conversations? [00:23:34] Patrick: Again, you set up the question this way, but part of it that of our hands. Part of it is that it’s set against us in some cases. That can be any number of things. It doesn’t just have to be that the CEO doesn’t care. It can also be that the organization is set up poorly. Not enough hierarchy, not enough, in some cases, middle management is frustrating as that is. An organization that’s too top-heavy and to bottom heavy and has too many people reporting into certain people, can lead to breakdowns in communication, and plenty of issues that are maybe even if people are well-meaning, they make priorities and they make choices. Now, put that aside into the box and so it will just accept that. I look at community metrics and reporting because it has to be metrics and data at some point. You could throw a third category in there which is stories and documented once-off things that the community does for the company that are big wins. If the New York Times is a piece and it mentions your community, that’s not a recurring thing, it’s a once value prop. You can try to measure the impact of that like you would measure, I don’t know a billboard ad or something like that for your marketing department might be able to help. There’s those stories and anecdotal things that you can have, but beyond that there’s two categories for me when it comes to metrics. Those are business metrics and community health metrics. Start with community health. Community health is stuff that we all know and love, things like active members are the big one for me. Anything that’s to do with the community being active, quality experience in the community, the community sustaining itself, those are things we measure as community health. Then, of course, the goal for the business people and communicating to those people is to tie the community health to the revenue of the company to the bottom line. As I touched on before, that’s really just tying this audience, these people in the community to their renewals, sales, money they give the company other benefits they give the company. Then comparing and contrasting that group to other groups, especially the non-engaged group, people who are not in the community. Because if you can show that the people in the community are renewing at a rate that is 20% higher or their lifetime customer value is 30% higher or they give you $150 more per year, or whatever it is for your company and you need to find out what that is. What means something to the people that you’re trying to communicate to. Then, you’re starting to show them the value of the community and the members in it. That’s the main way to do it, is just to think about those two buckets, community health and tying that to business metrics and come up with core simple one, two, three metrics. There’s a lot of things we can do with dashboards, there’s a lot of things we can measure, and it’s really about understanding who you’re talking to, what they value, and then how you can tie the community to it. Maybe it’s for the CEO, might be revenue, maybe for another department you’re trying to get to buy and it’s not that. Customer support, product, tech, they have different things they look at and care about. If you can tie again the communities activity to things they care about, then you start to get them on board. Again, if they don’t understand community or they hate community or they want you to go away or they don’t believe it or they believe it’s a one-person job forever or whatever it is, it’s not necessarily you try your hardest and you can convince some people, you convince some people, some of the time, you can’t convince, I’m going to paraphrase all the people all the time. If you do it that way, you’re starting to convince people. Again, it does also rely on building that credibility so that when there comes a time when there is an alarm to sound, the alarm isn’t always measurable. If you show community health metrics in this scenario we’re talking about where it’s just getting bigger and bigger and bigger, that seems like a win, that seems like it’s awesome. It’s great. If you get to a point where there’s this point of diminishing returns that we can reach where it’s like, well, now we’re at this point and now the experience for the users is slipping. There may be more in there this month, but the quality of the experience is down. Measuring that is less clear. You can have surveys to augment that data, Net Promoter Score. You can ask them about how they’re satisfied there with the community and you can trend that over time and see they’re 5.6 this month. They were 7.8 last month, whatever it is. Those are harder to show, it’s harder to argue when the numbers are higher this month that there might be a storm on the horizon, and you may not have people who believe in you and you can’t do anything about that because you’re not higher at the company. It’s a frustrating part of not just our job, but many jobs that we have to accept, and in the meantime, we just do our very best to try to convince people. If we’re proven right, then hopefully we’ll have the opportunity to stop it from getting worse or to stop it from happening again in the future. [00:27:44] Scott: I actually have two questions and they’re separate. I’m going to ask them separately and we’ll figure out how to arrange them later. The first quick question is, what is a metric around communities that you wish people would stop measuring because it’s just not useful? [00:28:03] Patrick: The one everyone wants you to say is posts. That’s of an old thing to say. I don’t know the number of posts because that can be faked. It’s not really necessarily useful. It’s useful in some context with the right lens applied to it, but it’s a vanity metric, and any metric that is a vanity metric that is simply something that accumulates. Of course, a post can go up and down month to month, and that’s where there can be some value but the only thing that simply accumulates and doesn’t change month to month and the total metric has a little value, but most of us to do this work know that now. I don’t know. I think for me and I don’t know if this is a cop-out or not, but just the metrics I would like to have people stop using are the metrics that just add noise to the case they’re trying to make. That varies by the individual, the company, the person they’re reporting them to. We need more dashboards frankly like a lot of us don’t have to ask for us. We build those dashboards, we need to be mindful of what the big things are because spreadsheets with a lot of numbers, charts with a lot of data points, like anything else people gloss over, their eyes glaze over, and they call it a day. The important thing is not that anyone metric is bad or should be thrown out, although it’s a really good question, I wish I had a one answer I’d point to say like that thing should go. I just think we have to understand that this is your one big number. These are your two big numbers. Make them count. Just make them count for you and your department, your team, or just you as an individual professional and honing on those things and make those things better. There’s a million ways to die choose one. We’re choosing the thing that is either going to help us be successful, make us look better, make the community look healthy, or we are choosing the thing that we’re going to be held to and the hill we’re going to die on. The thing I just want to say is choose carefully, talk to people before you choose, and then make it count because it’s tough to switch to say, you know what, that they know you’re measuring not actually as important as I thought. You can do that once in a while. You can’t do it all the time, because then you don’t look credible. Just choose carefully on the one, two, three, things to each business unit or each person that you really want to be accountable for and don’t put yourself in too small of a box. [00:30:06] Scott: All right. I’m actually going to drop the second question. [00:30:10] Scott: We talked about executives, we’ve picked on them for a bit but now the common question I’ve seen, it always gets asked. Was this idea of where does community sit in an organization? I see a lot of variation out there in the world. I’m sure you do too. It can be under marketing, customer service, communications. I’ve seen it under product management. Every once in a while, it’s actually its own department. The question is, how do online communities become successful regardless of where they are in an organization? [00:30:40] Patrick: My ego tells me that you can throw me into any pot and I’ll fight my way out and be successful in some way. You throw me into the woods naked, I’ll come out with a loincloth and a steak, right? That’s the mentality. I want to believe that but I also believe that there are situations and times where that’s just not the case and it’s tough. As savvy as you can be, you hit roadblocks, you hit walls and it’s just time to move. If someone asks you this two parts, I’ll give you the defeating answer first which is that, I do think that we should recognize our value and in cases where we feel that we are not being utilized fully or we are not being fully appreciated, we do that work for as long as we can and we start to look for better opportunities elsewhere at organizations that will value and respect us. It’s almost like being in a relationship and people think they can fix the other person. It’s not necessarily something that can always be accomplished. You can spend all that time on that person or that company and try to fix them and try to get them to understand how it benefits them. Maybe they just don’t want to. Maybe you’re wrong. We’ll assume you’re not in this case. Maybe there’s just nothing that you can do there. You do that work as best as you can, you put in your best work because it’s going to be your signature. These are going to be things that you can take with you in your career and hang your hat on that you did. Even if the company doesn’t recognize you, you still recognize yourself and take pride in your work. It might be time to move on. That’s the answer I think is that you just do the best you can. Community can exist in a number of different departments and be successful. It can exist anywhere. The key is who you’re reporting to, how much they understand, what their goals are for you. Because my biggest problem with community and marketing is if community service marketing is goals. Because marketing goals are not community’s goals, not exclusively, not 100%, they’re not matched up. People will always make the case, we all want more customers. Sure. Yes, whatever. The way community goes about helping you gain and retain customers is very different in many cases from the marketing goes about helping you gain new customers. I like to say marketing helps you bring in people, community helps you keep them. Community under marketing can be certainly successful. It’s not my preference though. Of course, I always push, aspire, encourage community to be its own department in organizations where community is a priority. I think it’s part of making that statement not sound like lip service. The community is one of the cornerstones of your company. If it can’t be its own thing, I like to see it under something that’s not marketing ideally, no offense to marketers. Something like operations or communications or something else. I think operations makes a lot of sense but at the end of the day, if you have an operations head, who doesn’t get it either you’re better being under marketing person who gets it a little better and supports you in your initiatives and supports you in your career. That is my two-part, I don’t know, not necessarily direct and helpful answer but that’s how I see it. [00:33:21] Scott: Do you see the role of chief community officer as viable? Is there a future for this? If so, what are the kinds of challenges that that role might have to face in the near future? [00:33:38] Patrick: I think it’s viable at organizations where community is truly important. Where having an online community and maybe that even verges into offline community and that’s own thing. Offline community, online community and that can be member experience, in-person events whatever it is but it could just be online. In a company where that is vital, I see no reason why it’s not a worthy consideration for this c-suite. It is rare, it will be rare. That’s what I aspire to. I see that as where I want to be and it’s not even necessarily chief community officer, it’s just being at the executive team, being at the executive level. I work at a company where community is such a priority that I have a seat at that table with the company leadership. They can call that what they want, VP of community, whatever it is. Just being at the top of the organization, is something that I think we can achieve and that we can aspire to. It happens one person at a time and each time someone achieves that, it pushes our whole profession forward. Yes, I think it’s achievable. It is a rare role, it will continue to be. I think part of the challenge to that role is just having a company that scales you and your team up properly and sees it as something that’s important enough to have enough people under it where it is justifiable as an executive level role. The reality is that I manage a team of three right now so four with me and I feel like I need more people but that’s probably in the top what? 5%, 3%, 10% of community teams in the world, realistically? Most companies have one person who does community work and they’re fine doing that and they don’t see it as more which is the worst thing of all. They don’t see it as more than one person, a community manager who then goes on to something else or leaves because if they want to advance their career because it’s still looked at in some places as a role for someone who is more junior. My four-person team is actually fairly large, if you polled the industry for an average team size, I bet four is far higher than industry average or corporate average. I think the challenge is really that people see it as more in something that’s worth the see and that’s again goes to the conversation of value but also goes to the conversation of understanding. You can’t convince people who don’t want to be convinced, you can’t help people who don’t see the value of community. I shouldn’t say you can’t, you can, but you can’t help them if they don’t want to be helped or if they always have another priority, or they always see something else as more valuable. I think just being seen as having the scope of responsibility, the size of responsibility, the resources required, the people required and getting the money required to be seen as this department, because that’s part of being at the executive level is being at the top of something being at the top of some department. I think that’s the greatest challenge. It’s just having people around you that understand that, yes, it does take more than one person or yes, it does take more than three people because our community has 20,000 people in it every month and we’re trying to create a high touch experience where everybody gets their questions answered, where every conversation is a good one, where every experience is a positive one. We know that this shows value to the company in this way, and in this way. It’s a battle and it’s a fight, but every one of us who gets there, helps light the way for the next person, I believe. [00:36:50] Scott: Cool. How do organizations retain and advance talent on their community teams when it seems like so many community teams are understaffed? [00:37:01] Patrick: It’s a good question. For me, my approach, on my team is to say I have, two community managers and a community specialist who is a VA but does a lot of really great things for the community program. For me, when I interview those people, and they are more of a junior level role right now. My thing is that if you want more in this job, like this is the job of hiring right now. This is what I have to offer. This is the resources I have been allotted. I’m thankful to have those resources. I don’t have the resources to hire someone like Scott Moore. I don’t have the resources to hire someone who’s really very experienced. Not right now. Maybe in the future and I’m not saying you even want to work for me, [chuckles] but I just can’t hire someone like you. I’m hiring more junior people and, in many cases, mentoring them up right into their next role. I really appreciate and value that role. What I tell them during the interview though, before we’re talking about the job, if this is what you love, if this is the work you do, because you can make money in a lot of ways in this world. Being a community manager isn’t necessarily the first place to go to make money. That’s my mentality is that I want to be a great boss and great bosses make the careers of the people who report them a priority in their professional work. Whether that be raises, whether that be cost of living increases, whether that be promotions, whether that be helping them get the new job and not making them feel like they should be scared to ask you for help getting a job or ask you for a reference letter or tell you that this amazing opportunity came up and I’m happy for people. That’s my legacy. That’s how I see my legacy as a community professional is the people that I helped advance at the end of the day. When I say I have a moderator who was with me a phpbbhacks.com and now he’s a developer at Apple, I don’t know that I really helped him all that much but I think he might say that I helped encourage his passion for software development but whatever I did, anything, no matter how tiny which is, it’s minuscule whatever I did, I am proud to have been a part of that journey. For me and a part of that ego. I believe that I can mentor the next amazing community professional. I believe that I can help people be the best community professional they can be. It’s not that everyone’s replaceable because they’re not. I have great people, when I lose them, it stinks and I have to go out and find the next person but I also believe that I am someone who can bring out the best in more people, identifying new talent, identifying people who are hungry for a shot and then help them be the next thing. That, to me, is most of talent retention is looking at it that way. That’s how I try to bring in new people and try to retain them is that this is not a graveyard, I’m not keeping people, I want the best for the people who join me. I think the other thing, the second thing to that is people want to work in a place where community is understood to some degree. We’ve talked about, that’s kind of a constant theme today. The importance of the company, understanding community and how that impacts everything that we do from the work, the resources, the money we’re given. I think companies that want to attract great professionals need to be companies that pay good money, that give you autonomy, that respect your knowledge and then value and understand community. No company is going to get me for that and no company is going to get you for that. That’s where we want to work. We might work somewhere else temporarily because we need to live but, at the end of the day, we’re going to leave those places as soon as possible. As soon as we can, as soon as a good opportunity comes up where we can go to somewhere where people actually believe in what we’re doing, we’re going to leave. Salaries are important, benefits are important, yes, of course, but that understanding of culture and that belief in helping my career grow or your career grow or whatever it is, to me, those two things are paramount and that’s how you attract truly great community professionals. If you don’t do those two things, the only people you’ll attract are people who are looking for their next job or people who don’t fully believe in this work. [00:41:35] Scott: Well said. Let’s make this a little personal. How do you handle your continuous learning? How do you keep up with the online community industry in a way that you’re able to take on unforeseen challenges? What are you reading, listening to, watching? How do you prepare? [00:41:53] Patrick: There are probably three things. Number one is that I know a lot of people, I keep up with a lot of people, I pay attention to what people that I believe are smarter, sharing, talking about, thinking about whether that be on Twitter, on Facebook, on LinkedIn, through email subscriptions, through casual conversations and catch ups, whatever it is. There’s so many people out there that I respect and like and value their perspective. People like you, Bill Johnston, Rebecca Newton. There’s just so many. Derek Powazek on Twitter is always really interesting and useful and concise and there’s a lot of good knowledge there. A lot of community pros that I follow that are maybe not lifers or those people have been around forever. People like Marjorie Anderson who’s been on the show before and does a lot of great work in sort of the association space. There’s just so many people out there doing and saying smart things and so I try to maintain a very strong niche and network of people that I not just respect, not just that have experience because there’s people that have experience that I don’t like and don’t respect and so people that have experience that I think are ethical and approach things ethically and that I like and respect and want to learn from and help support. That’s the first group. Second is there’s one email newsletter that I like to read every time it comes out, every weekend. It’s the WeSupportNYC newsletter and I think the easiest way to reach them is on Twitter @wesupportnyc. Yes, it sounds like support and customer service, yes, it sounds like New York City, it is those things kind of but it’s also really in a lot of ways a general community professional list of resources, links, jobs. I think the stuff they share in jobs that’s sort of a great repository of digest every week of community jobs if you’re looking for one. I think that they are certainly one of my favorite resources, probably my favorite resource in the industry right now because of who runs it and how they approach it. Carol, our editorial lead, is one of the people that actually maintains that every week. Then the third thing is, honestly, this podcast because I see these conversations as being very helpful to me. I think the great trick of a podcast for the host is that you learn a lot along with the audience. I certainly bring a formidable amount of knowledge to the table but I bring people on. The secret of the show, the not so secret secret is, that I don’t talk to people because they’re experienced at community, I don’t talk to people because they have 10,000, 20,000, 100,000 Twitter followers, I talk to people because I want to talk to them. The people that I have on the show are people actually want to talk to that I think I will enjoy having a conversation with. I don’t have people on here that I don’t like, I don’t have people on here whose ethics I find to be appalling, I don’t have people on here that I just think would bring more people to the show by Tweeting about it. I’ve had people who don’t have a Twitter account on the show, several times. I’ve had people who have 100 Twitter followers on here several times and so that doesn’t matter to me. What matters is that I’m talking to people I want to talk to and I get a lot of value, self-care, knowledge and experience from simply hosting this show. [00:44:44] Patrick: Awesome. They deserve another subscriber especially one as good as you. 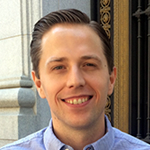 Our guest host on this episode was Scott Moore, formerly of Digital Promise Global, Answers.com, the Charles and Helen Schwab Foundation and Fujitsu. To connect with Scott, find him on LinkedIn at linkedin.com/in/ScottMoore and on Twitter @scottmoore. For the transcript from this episode, plus highlights and links that we mentioned, please visit communitysignal.com. Community Signal is produced by Karn Broad, and Carol Benovic-Bradley is our editorial lead. This conversation was long enough where we decided to make it a two-part episode. We’ll pick back up on the next episode of Community Signal. Thank you for a great three years of our show.